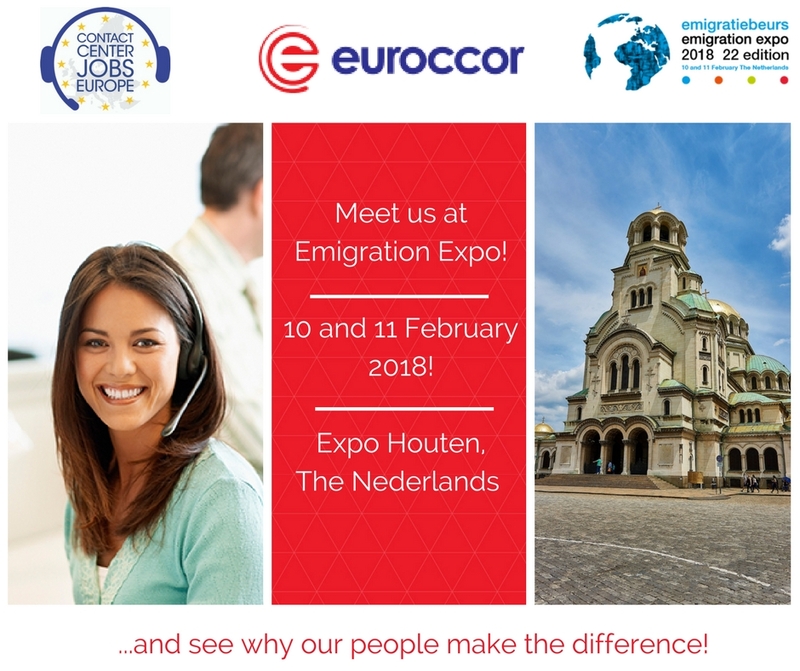 Blog Euroccor is participating again in Emigration Fair in Expo Houten, the Netherlands! 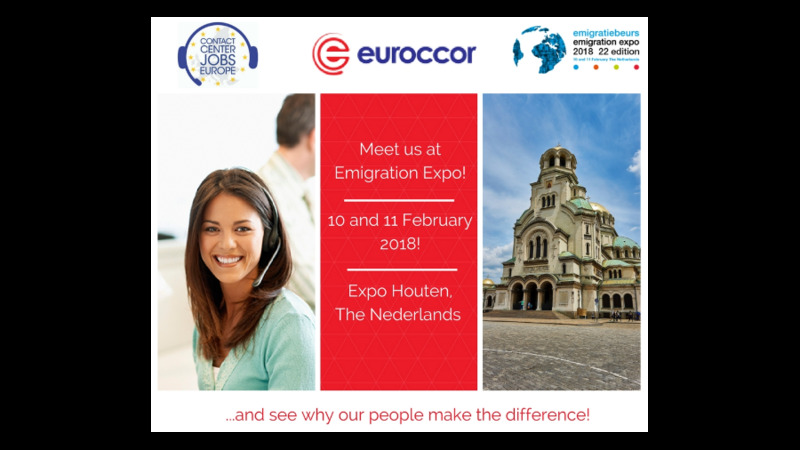 Euroccor is participating again in Emigration Fair in Expo Houten, the Netherlands! This year we are meeting you again on the Emigration Fair in Expo Houten, the Netherlands. The 22nd edition of the Fair takes place on Saturday 10 and Sunday 11 February 2018 in Expo Houten and this year focus theme is “Contact Center Jobs Europe”. This event is organized in cooperation with EURES, who will have a stand on the fair and where you can obtain more information on working abroad. The Emigration Fair has been successfully bringing 12,000 visitors - emigrants, job-seekers, entrepreneurs, expats and investors together with 150+ exhibitors in three Hals (European, Overseas and Scandinavian destinations). The exhibitors are international experts, companies and organizations who offer them information, advice and find opportunities for them to settle, find employment, set up a business or live abroad. Visit our stand on 10 and 11 February and meet our people and Euroccor! And if you are curious to see how at Euroccor “Our people make the difference”, join our presentation on Saturday 10/02 at 14h30 in room 5!